Following on from Monday's article today I'm going to look at some stats from Champion Jockey Tony McCoy. By the way yesterdays eachway bet that placed second was from the system we created on Monday. Ok, so backing all of Tony's mounts would as you'd expect returns a loss, but not as a big a loss as I expected at 15% of stakes lost. If we break that down by race type we see that Hurdles perform best with an excellent 27% strike rate from all hurdle start and a loss of just 11%. At this stage of my research I was pondering where to go next and looking down the list of factors and say ‘Going'. My first thought was that, that is a factor that depends more on the particular horse than the jockey, but then I pictured AP pumping away, driving a tired horse home and thought I bet he does better in Heavy going than other jocks. And he does. Over the last two years backing all of McCoys Hurdle rides on Heavy going has produced a 25% ROI and a 31% strike rate. However over the long term this strategy has been pretty much break even, so maybe something to keep in mind rather than to bet blindly. For today I'm going to wrap up with a look at how he performs for different trainers. My thoughts are that as I've said for previous jockeys that I would expect them to be a losing proposition for their own stable rides, just because they have to ride everything and that seems to be the case with Jonjo O Neill rides showing a loss. The table below shows every Hurdle ride since January 1st 2013 and I've sorted it by ROI to help spot the trainers who make a profit when they book the real McCoy. Readers who invested the pound in the VB Daily Goodwood selections yesterday had a good day with winners at 13/2 and 3/1. I forgot to mention on Monday that if you buy the Value Backing systems, which includes the Goodwood system (8/1 winner yesterday + 3 points on the day) you get free credits for Value Backing Daily as a bonus. There's still 4 days to use the Goodwood system and of course you get the other 3 systems for the rest of the year. I should also mention that Hawkeye Tips still has the trial offer for Daily Punt readers of just £7.99 for the first month. Hawkeye is currently showing a 540% return on investment to advised prices at Race Advisor Proofing and has a 14/1 selection today. Top flight football this weekend comes courtesy of the FA Cup 5th Round as the Premier League takes a short break. The relative minnows left in the final sixteen will be buoyed by the fact that the “Big Four” clubs left in the competition face off against each other in two potentially thunderous clashes. As Wigan showed last season it is possible for a smaller club to win big in the FA Cup but only if the draw is kind to you. The first tie of the weekend sees Sunderland take on this seasons surprise package Southampton. The Saints have had a fantastic season thus far and even though they have tailed off a little of late they will still fancy their chances of progressing. However, since Gus Poyet grasped the reins at the Stadium of Light the Black Cats form has improved dramatically. They have won six games already in 2014 including the superb despatch of Manchester United in the League Cup semi final and they really seem to ramp up the passion in the Cup matches. I expect Saturday to be no different and with generous odds of 12/5 available for the home side it makes them well worth a punt. Current Cup holders Wigan Athletic may have succumbed to relegation last season but they will have been overjoyed to be paired with Cardiff City in this round and a very real opportunity to retain their crown. Although the Welshmen are the higher ranked side they are in a poor run of form and have won just once in the league in their last ten matches. Wins over Newcastle and Bolton in the FA Cup cannot mask their lack of confidence at the moment and I have a sneaky suspicion that the Latics will take this tie possibly after a replay. In the all Championship clash Sheffield Wednesday face Charlton. Both clubs have performed heroics to reach this stage of the Cup given they are both languishing in the nether reaches of their League. The Owls are in 17th place but Charlton are currently occupying a relegation spot and both sets of supporters will secretly be harbouring thoughts that an early exit may not be a bad thing. Although the glory of the Cup is a wonderful thing they may be more concerned with retaining their league status and not making the dreaded drop to League One. This is a tight one to call but I’d favour the home side to make that advantage pay and for the Northerners to squeak into the quarter finals. The early evening televised match sees Jose Mourinho take his Chelsea side up to Manchester to face a City side that are in an incredible run of home form. City have won 17 of 19 home games this season and knocked in a paltry 72 goals in those ties. But crucially for Jose and his boys one of those losses was a matter of days ago against Chelsea. Has he got their number? Can he get the tactics right once more and cause an upset? Personally I think that the Citizens learn quickly and they will not make the same mistakes in this match. Their scoring prowess is nothing short of amazing and I’d favour them to progress in an absolute corker of a match. The first of Sunday’s games is an all Premier League clash featuring Everton and Swansea. Roberto Martinez had until recently looked like he had turned the Toffeemen into potential title challengers but they have in recent weeks proven to lack the stamina to keep up a sustained assault and the FA Cup may prove to be their best chance of picking up some silverware this season. Martinez of course was in charge of Wigan last season as they won the Cup and he will be hoping that his experience will enable his side to move into the next round with a minimum of fuss. The Swans are in turmoil at the moment and took the surprising decision to ditch their manager the likeable Dane Michael Laudrup in favour of the inexperienced Garry Monk. In my opinion the bookies are being overly generous in their view that Everton will win this one. With odds of 11/2 available on a Swans win it could be worth a cheeky pound or two in what is don’t forget a Cup tie. The lowest team still in the competition are League One strugglers Sheffield United in what must be for their fans a bittersweet experience this season. The FA Cup is great fun but if they are honest they would far rather an extra 20 points in the league than a place in the quarter finals. Forest are riding high in the race for a place in the Premier League and I expect them to have more drive and desire to reach the next round than their Yorkshire counterparts. Odds of 13/10 in favour of Billy Davies and his men could prove to be like taking candy from a baby. The big match on Sunday gives an early opportunity for Arsenal to gain revenge for their recent mauling at the hands of Liverpool in the League. Even though the Gunners are battling for the title at the moment they face a side in stunning form and with Arsene Wenger’s men in poor form when playing other big clubs it could just be that Brendan Rogers could get his tactics right and take this tie. As I mentioned earlier the smaller clubs will see this seasons competition as a great chance to take some silverware but this also applies to the big four as well and with two of Arsenal, Liverpool, Manchester City and Chelsea definitely eliminated this round those that can remain could reap some rich rewards. This should be a cracking game and I can see Luis Suarez and his men taking this – possibly after a replay. The last tie of this round is played on Monday evening and features Premier League Hull City as they travel south to Brighton. The Seagulls have won their last four home matches and the Tigers face a difficult challenge if they are to move forwards. This one to me is too close to call as home advantage and good form should count for just as much as playing in the Premier League. I anticipate that this match may turn out to be an old fashioned blood and thunder, throw everything but the kitchen sink at your opponents type of game which will prove exciting for the neutral and could see the home side upset the odds and progress. A double for me with Sunderland (12/5) and Swansea (11/2) giving potentially great returns. This double pays at just over 21/1. To find out more about Tipster Warehouse and to get more free tips Click Here. Just as I sent out yesterday's post telling you about the free All Weather system the website that was offering the system promptly broke! I mentioned the Betting Insiders Club on Monday, but what I didn't tell you is that members of that club also get daily tips from the clubs portfolio of systems. And these tips are pretty damn good. On Friday they had a winner at 22/1, yesterday they followed that up with Hussar Ballad which members were advised to back at 25/1 yesterday morning. After heavy betting all morning it started at 12/1 and romped home by 4 lengths. 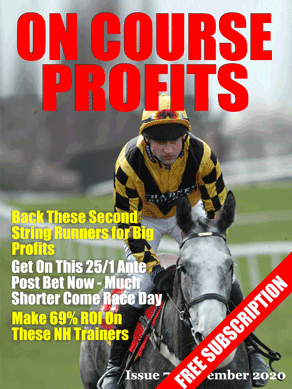 Even with all the other benefits of the Betting School Insiders Club it is still cheaper than many tipping services that aren't any where as profitable.